The new Hero's Plaza, located across the street from the West Baton Rouge Courthouse, provides the perfect respite for a short rest for tourist. 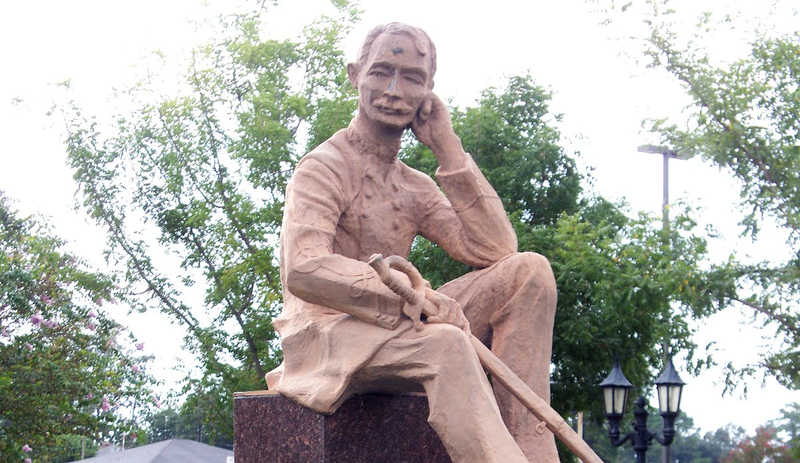 The landscaped and manicured grounds are accented by park benches, water fountain, and a statue of Gov. 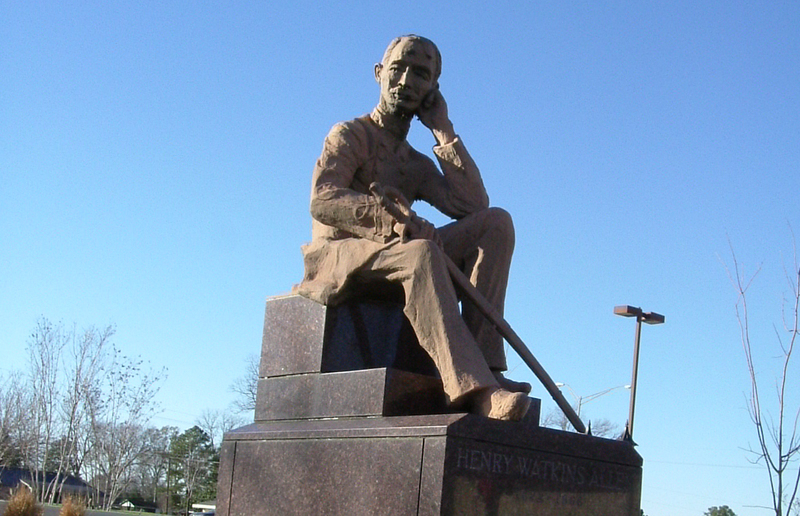 Henry W. Allen. Allen is perhaps one of the most important figures in West Baton Rouge hsitory. Allen was an attorney who moved to West Baton Rouge in the early 1850's and purchased a plantation. He studied at Harvard and traveled extensively in Europe. Allen was elected to the Louisiana Legislature in 1853. He served in the Confederate forces in the Battles of Shiloh, Vicksburg and Baton Rouge, rose to the rank of brigadier general, and suffered severe injuries in the Civil War. Allen was elected as the last Confederate governor of Louisiana in 1863, serving at a time the state was in chaos. Port Allen was named after Allen, who left Louisiana for Mexico in 1865, where he died in 1866. 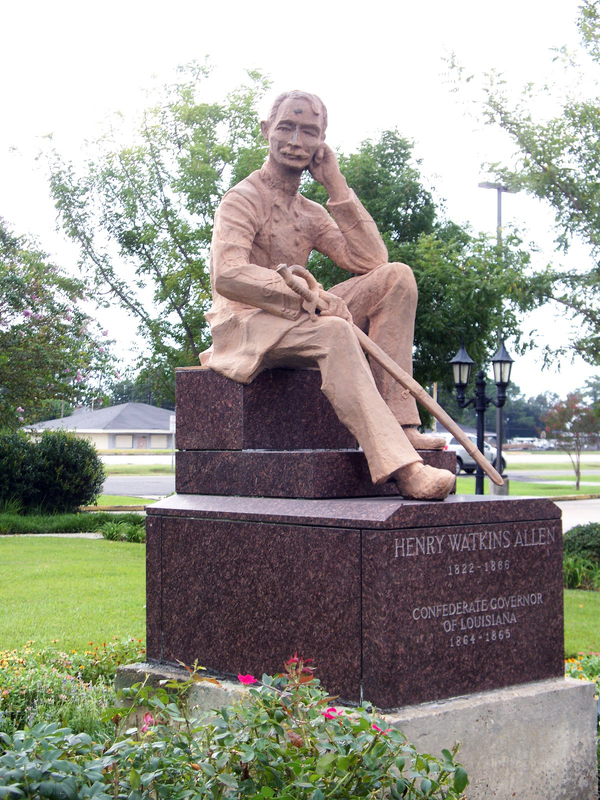 The statue of Allen, sculpted by well-known artist Angela Gregory of New Orleans, was erected facing the beautiful West Baton Rouge Parish Courthouse in 1962.